A couple of years ago we started offering a web design service to our small business customers who were looking for help to develop an online presence. Demand for the service, backed by commercial photography and graphic design, has grown steadily since then. Late last year we took the decision to invest in a new web platform centred on WordPress and enhanced by a development framework and visual builder. This toolset provides a powerful content management system (CMS) with the scope to build a wide range of web-based technology solutions from simple websites, to fully featured ecommerce sites, customer management systems, invoicing platforms, and more. Despite this power, our platform, thanks to having WordPress at its core, is extremely easy to use for non-technical people. Creating and editing web pages is not much more difficult than creating any other document, and is achieved through a web browser without the need to install additional software. As we are no longer just a photography company, we’ve decided it’s time for a fresh brand that better represents what we do. Our new name is a manufactured word that encapsulates our digital and photography ethos. We chose the name partly because there are currently no hits anywhere on the web for this word, making it a uniquely identifiable place to build our new brand. 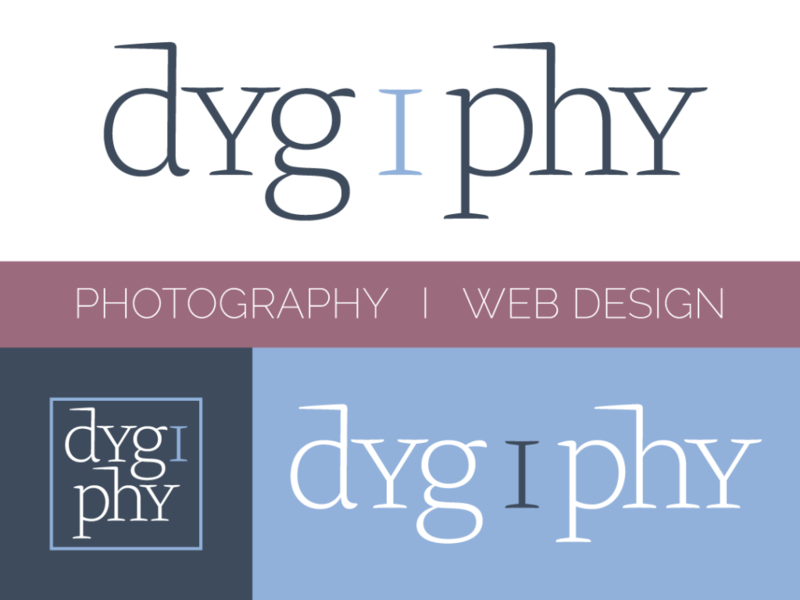 The new branding maintains our existing Dygiphy colour scheme to help link the old with the new, while introducing some new fonts that are more in line with current trends. The brand refresh, web and graphic design has all been done in house – a service which we provide to our customers. It’s been an interesting exercise to re-brand ourselves! We’ll be transitioning to the new branding over the next couple of months. Our new website will reside at www.dygiphy.com.au, although old domains will be parked at the same location and continue to work for the time being. The official launch will take place in July and be accompanied by a major promotional sale! If you are thinking about launching or re-refeshing your website, please keep a lookout for the email. You can subscribe using the form lower down on this page.